This is your place to go for quality content that offers scientific insights on yoga and movement training to build a strong foundation for a healthy life. 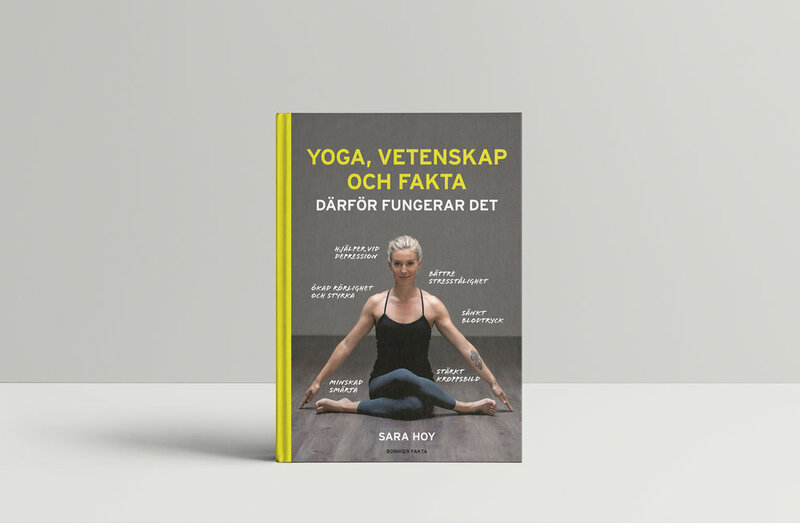 In her book ‘Yoga, Science and Facts - why it works’ (Bonnier Fakta), Sara Hoy presents a scientific approach to yoga and its research. In addition to facts she also offers practical tips on yoga exercises and strategies that you can use for a sustainable health and to prevent common diseases. Get it through Bokus or Adlibris. For you who are interested in learning more about and how to apply health and exercise science in your practice. We offer you quality content both live and online such as lectures, workshops, courses, and blog articles in Swedish and English. Practice with me wherever you are - online at Yogobe. I offer classes that are both challenging as well as calming, from 1 minute up to 60 minutes long. Use the code SARAHOY when you create a new account at yogobe.com and get your first 30 days for free. En yogi och rörelsefantast, född och baserad i Sverige, med världen som inspirationskälla och arbetsplats – det är jag Sara Hoy. Välkommen till min värld! Den är fylld av vetenskap, yoga och rörelsepraktik, och det är precis det du kommer att få ta del av här på min blogg. Mitt intresse för hållbar hälsa är djupt, brett och minst sagt passionerat.